Today, I finally received my September Birchbox! Some things I'm excited for, some things just okay, but overall, I am still a huge Birchbox fan! The theme of this box is the September Issue, so I was excited to receive some great items to get me through the season. 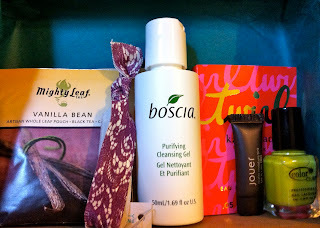 I am really excited to try the Boscia Purifying Cleansing Gel. I received the BB cream in my July Box & liked it a lot. It is a great size too, 50mL/1.69 fl oz. I will definitely be using this! 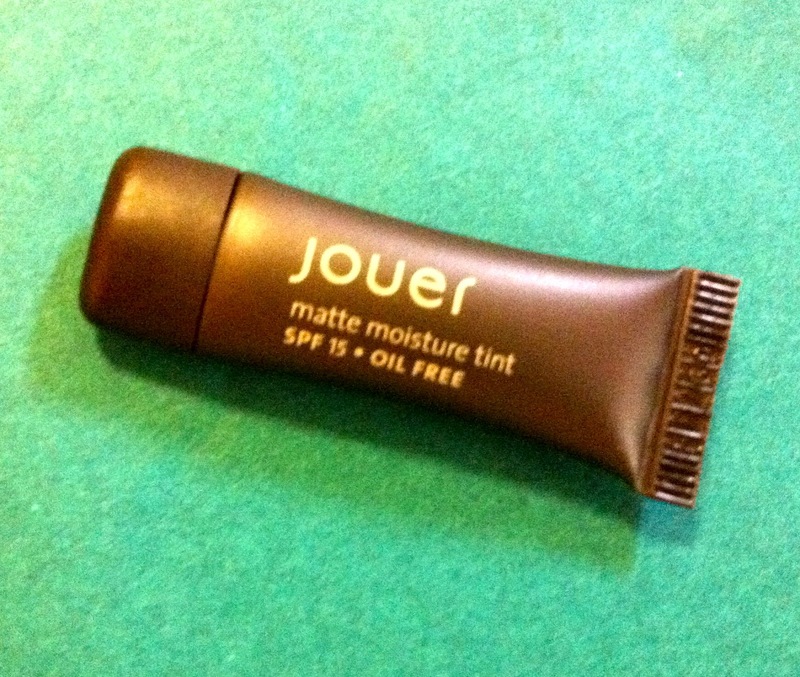 I swatched the Jouer Matte Moisture Tint in Linen & it seems nice, but it is a teeny size (2.3mL)! I am interested in trying it. I prefer a matte finish to my make-up since by the end of the day I can get a little oily. I do wish the size was larger or that they would include two, since BB is advertised as "deluxe sized" samples. The colour, linen, does seem to match my skin though which is good! I was super excited that a nail polish would be included in the September Box. I have to admit Color Club in Tweet Me was the one I wanted the least! I wanted that rose gold, "Put a Pin in It" so badly! 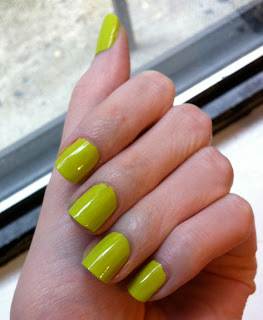 The polish is definitely more of a chartreuse than a yellow. It is an interesting colour & it is definitely growing on me. While I was painting it on, I was like "No way" this is such a gross colour, but now I'm starting to like it... I am thinking of using it as a base & painting Zoya Frida over it. Maybe add some glitter in the middle & make a nice jelly sandwich out of it. "I guess it's cool..." is my first reaction to this Purple Lace Twistband. I use hair ties a lot, so it will come in use & it is pretty. It's a piece of elastic fabric tied in a knot...but I guess the most simple things can be ingenious. I am wearing it right now & my hair is staying put....so yay? I'm most excited to try the Mighty Leaf Tea in Green Tea Tropical, Vanilla Bean, & Chamomile Citrus. My boyfriend & I are tea fanatics! I guess I will have to let him try one of my flavours. Maybe he will then begin to understand why BB is cool. The bags are single serve but a good size, so I think they will be able to make a decent cup of tea. The packaging is cute and informative with caffeine level & brew time clearly labeled. Overall impression: It's an okay box. I will definitely get use out of the products. I'm most excited about the Mighty Teas & the Boscia Cleansing Gel. & I'm a big nail polish fan, so I love getting a polish no matter what colour! The other things are okay & I will definitely try them out. 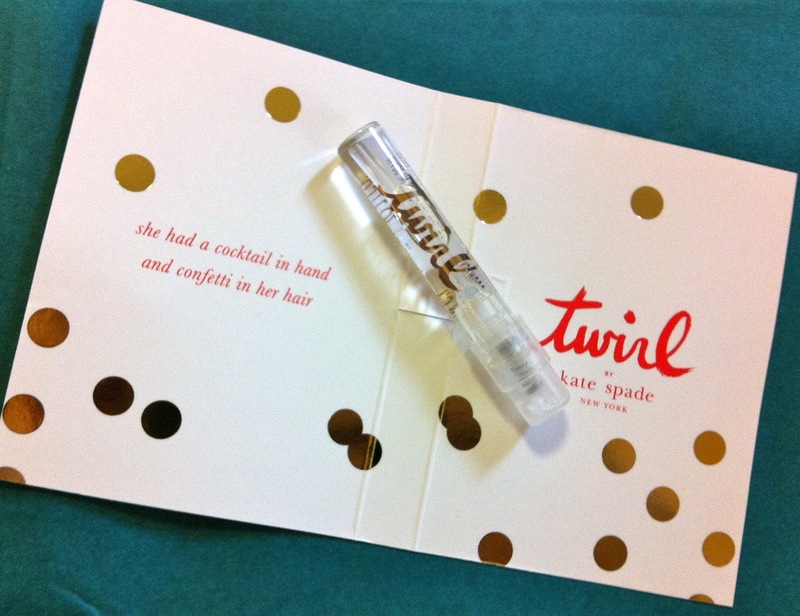 What did you think of the September Birchbox?